Electrifying transportation is the next big step in smog reduction. Copyright ©2018, Environmental Law Institute®, Washington D.C. www.eli.org. 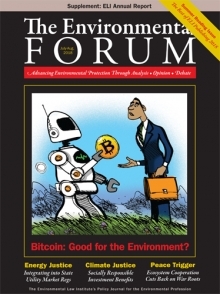 Reprinted by permission from The Environmental Forum®, July-August.